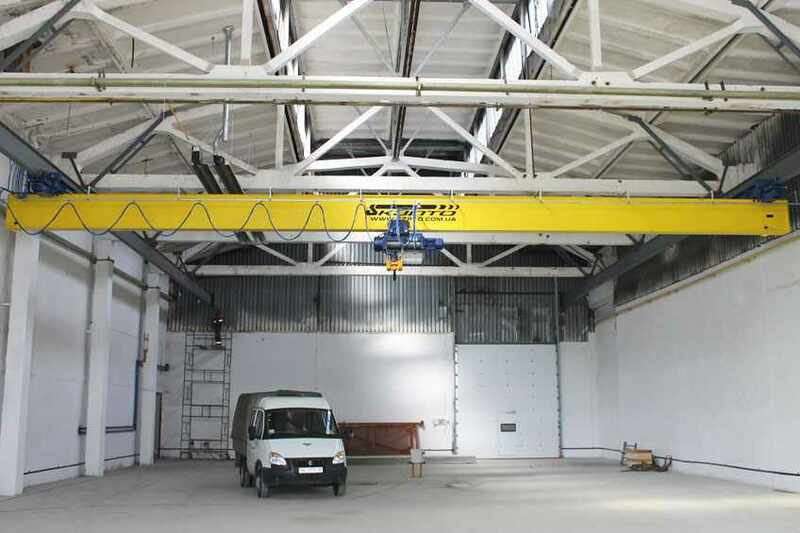 Production and installation of crane runways and single-girder suspended bridge crane g/n 5.0 length 17,0m for foreign companies for production of facade glazing systems. 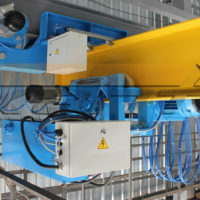 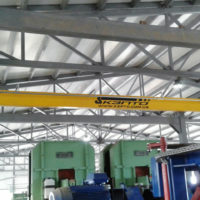 mounting crane, start-up frequency of the crane drives and configure the crane safety equipment. 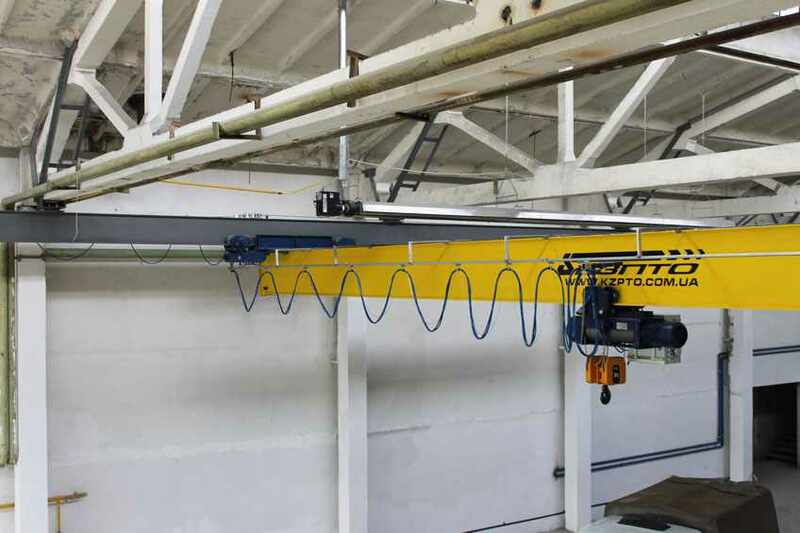 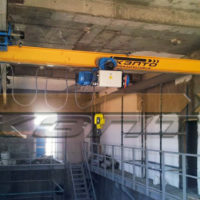 Our design department of the crane variant of execution was proposed with variable frequency speed drives. 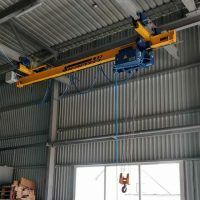 Installation radio frequency inverters and possible to eliminate rocking motion or at the beginning of the lifting and damage fragile goods, as well as to carry out the movement of the crane independent of the operator's location. 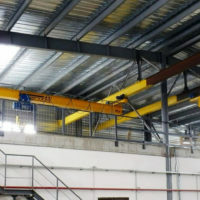 Additionally, when completing the crane girder suspension limit reduced building heights were used, which allowed to significantly increase the height of the lifting crane and reduce the size. 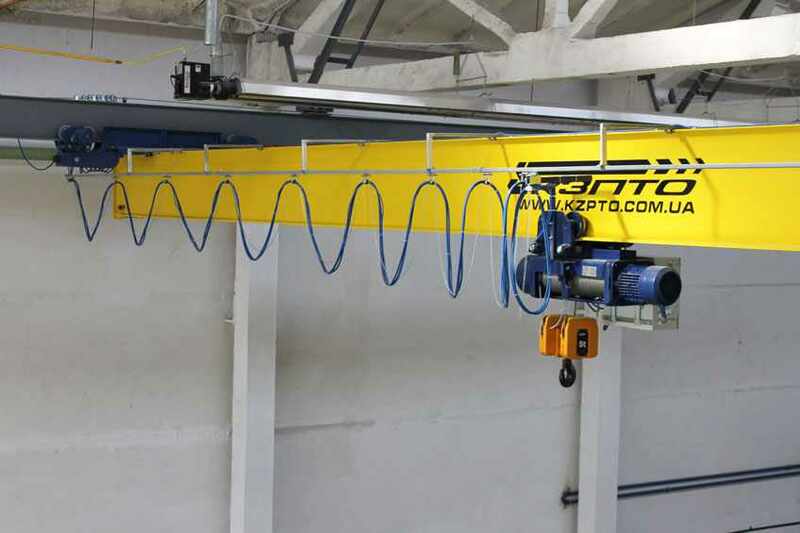 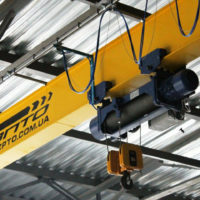 By crane manufacture and installation of electric single-girder suspended bridge crane complete the specialists of «Kyiv Crane Machinery Plant LLC» leveling paths crane was produced, the routine tests with a load on the static and dynamic loads, issued a technical report on the crane installation work, as well as passport and approvals. 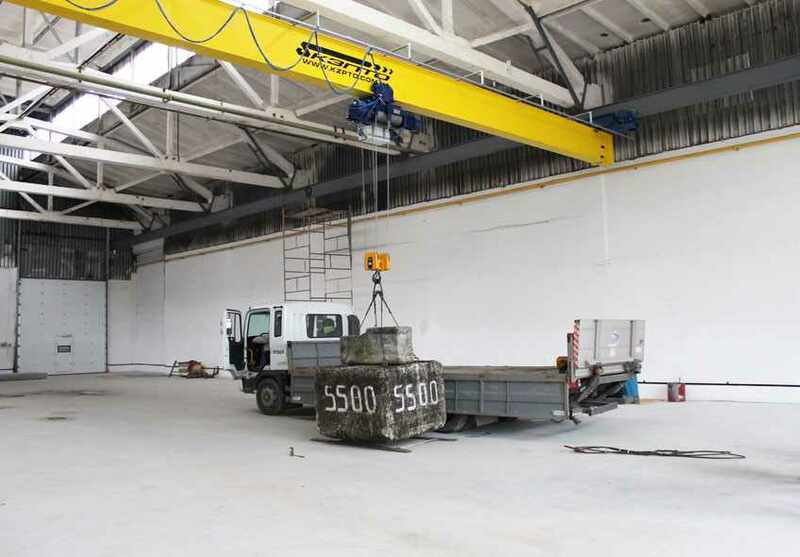 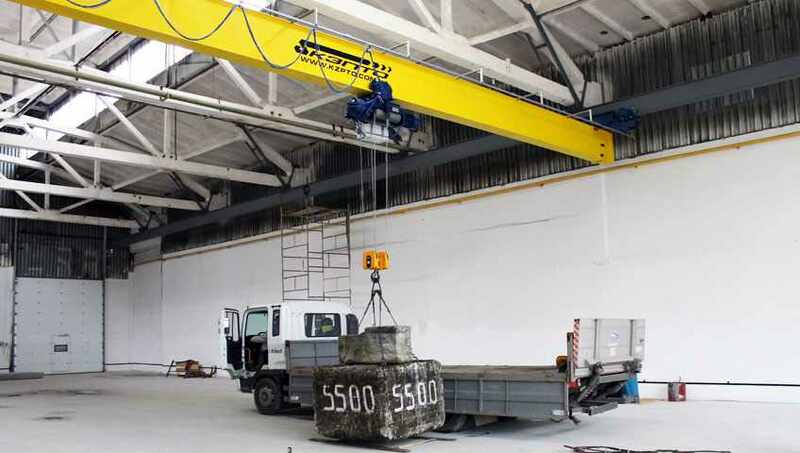 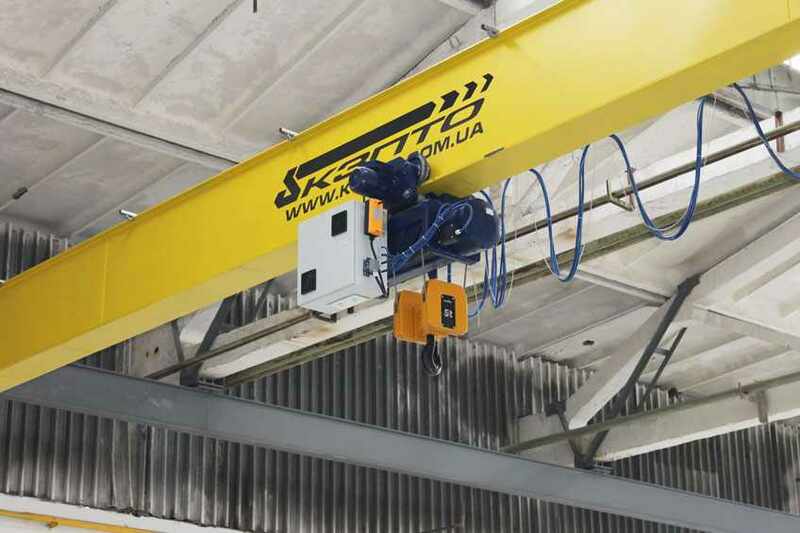 The final stage of installation and startup of the crane in operation was the holding of the primary technical inspection, together with the expert-technical center Gosgorpromnadzora Ukraine.